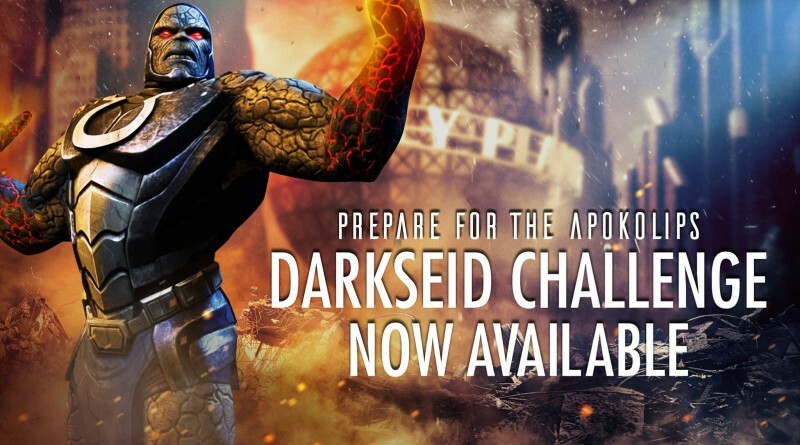 The next Injustice Mobile single player challenge has arrived and if you complete it, you will gain access to one of the mobile exclusive Injustice characters, Darkseid. 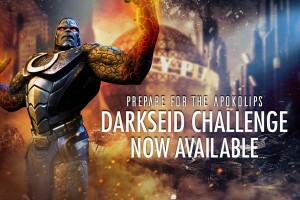 Description: All BRONZE characters on Darkseid’s team gain +300% HEALTH and DAMAGE. 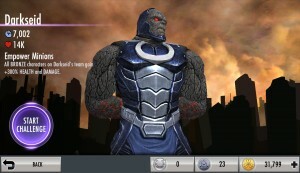 Darkseid can also be a great asset in an online battle when combined with maxed out bronze Nightwing and Flash. 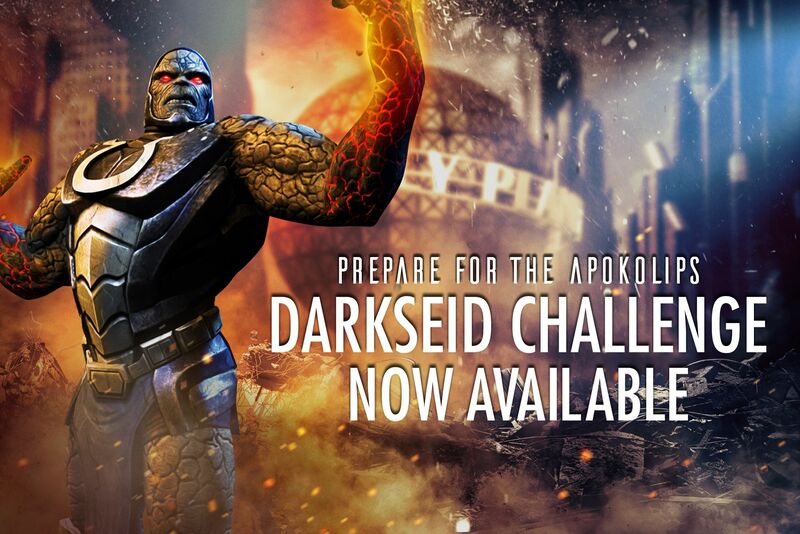 To beat this challenge you must have Cyborg, Catwoman and Black Adam on your team. 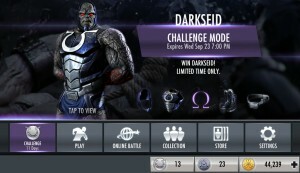 There are Bronze/Silver versions of all of them so this condition should not be a problem even for newer Injustice Mobile players.